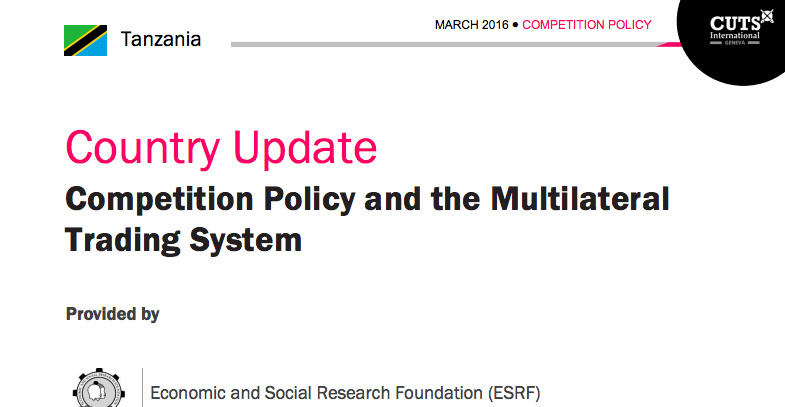 Competition Policy and the Multilateral Trading System. Competition concerns have long been a staple question within the international trading system. In the World Trade Organization (WTO), a formal and more structured effort to address these concerns began when members agreed to launch the Working Group on the Interaction between Trade and Competition Policy (WGTCP) at the Ministerial Conference in Singapore in 1996. In fact, it was not until the Conference in Singapore that member countries identified businesses as a source of distortion in international free trade. Accordingly, the WGTCP was established to formally examine the relationship between trade and competition policies. At the 2001 WTO Ministerial Conference in Doha, Qatar, members put the competition question on the agenda, and defined a focus of future work for the WGTCP in paragraph 25 of the Doha Ministerial Declaration. Unfortunately, the breadth of the agenda contributed to disarray in the ensuing negotiations. In hopes of speeding up talks, the General Council of the WTO subsequently dropped several controversial issues; among them was competition policy which was dropped during the July package of 2004. Consequently, the Working Group was put inactive although the WTO Secretariat continues to respond to national requests for technical assistance in this area for the benefit of interested WTO Members and countries seeking accession to the WTO.